Occasionally, even the most sophisticated, matured, ripe beings among us require a break from literature, fine red wine and electrifying rounds of chess. (We’ve been on a break for the last fifteen years). If you’ve been trawling Google for activities that will leave any resemblance of adulthood in the dust, you’ve come to the right place, friend. 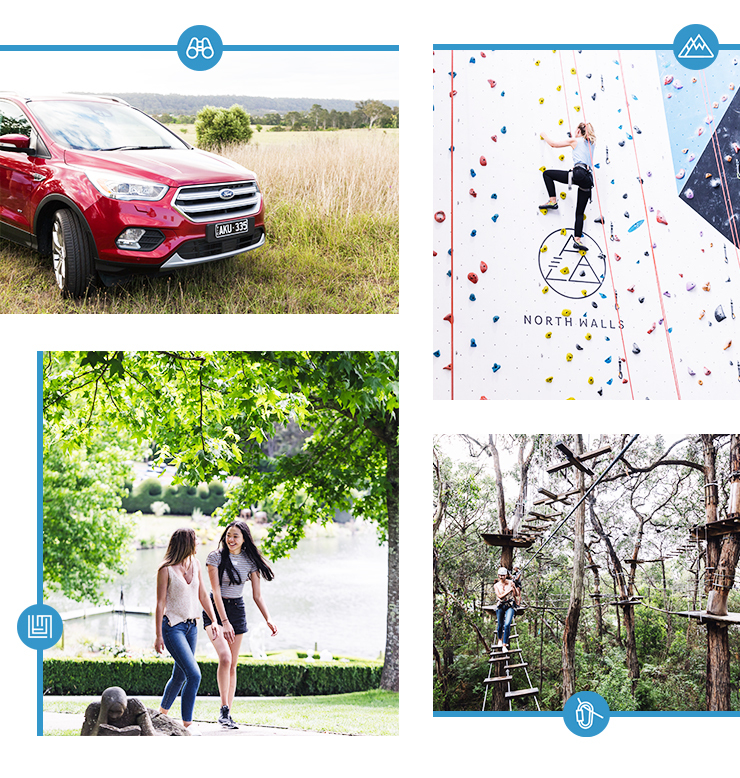 We’ve teamed up with Ford to bring you all the activities to do this weekend if you’re basically just a giant kid (their Ford Escape makes a pretty good non-imaginary bestie). And like an unsupervised two-year old in a candy store, once you get started on this list, you’ll never want to stop. Le Mans Go Karts is in Dandenong South and features over 23 acres with four tracks, and five types of karts to choose from. The name doesn’t lie at Funfields. With a casual three world-record waterslides (including the fastest head-first racer and the world’s biggest, tallest and longest proslide wave), don’t wear your flimsy bathers to this one. Think: your backyard trampoline, but a hundred times better. Bounce Inc is the ultimate big kid’s playground with super-bouncy free-jump trampolines, crash pits and an ultimate Ninja Warrior course. 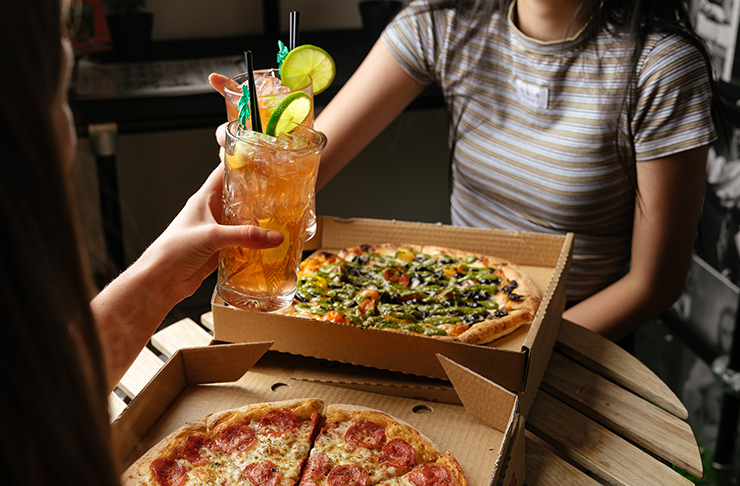 We’ll meet you there. The only time when shooting your friends in the face is (semi) acceptable, pop on an armored (not) vest and grab your favourite (there are about twenty replicas) laser gun and play a few rounds of laser tag with a carload of people. Next time that co-worker asks about your #fitspo life you can tell them that you were ~exercising~ on a Saturday night. Check it out at Kingpin CBD or Darkzone in Box Hill. The superior version of golf, mini golf extravaganza Holey Moley spans over two levels and 27 themed mini golf holes. We don’t want to spoil the surprise, but you could find yourself on a pool table, record shop or maybe in front of Jesus himself. Ice-skating and ice hockey—it’s all at the O’Brien Group Arena. Along with daily beginner ice-skating lessons, there’s a completely legit Hockey Academy for ice-hockey newbies, so you can crack out your decade old fluro mouth guard and rip up the ice. See the best of the Otway region from the air. Helicopters are for losers (duh), so head to OtwayFly to join a tour that’s conducted completely suspended 30-metres above the forest floor. The tour takes a total of 2.5 hours so you’re getting real value for your dolla dollars. Paintball. That’s all. Check out some spots here and here. An all-inclusive package with dinner, access to the Zoo at twilight and tents, Roar ‘n’ Snore gives you a chance to get up close ‘n personal with some of the animals and behind-the-scenes action. Admission to the zoo the following day is also included, because you’ll want to see the meerkats. Fact: there is nothing more satisfying than climbing and reaching the top of a wall (maybe save the yelling about kings and rascals for another, drunken time). Melbourne’s newest indoor climbing gym, North Walls, is a brightly designed rock climbing area featuring triangular, vertical walls and inverted areas. If you’re short on cash, the Burnley Bouldering Wall is free to play around, just BYO shoes (no sunhat needed, you’re a big kid). Everything is better when it’s higher, or at least that’s the logic behind The Enchanted Adventure Garden. An easy hour’s drive away in Arthur’s Seat, pile the crew into a car to access the maze, canopy walk, obstacle course and tube slide. There’s also a giant, old school lolly shop to refuel post-climb. In case you’ve ever wanted to run facedown a building—here’s your chance. Zero Latency, one of Melbourne’s first and finest VR gaming areas, allows you to roam completely free with VR headsets that create an entirely different world. Battle through a zombie apocalypse, adventure through an alternate reality or travel into space. In Melbourne’s (very official), Break Room.